« PREORDER CHEYENNE & MAD MONSTER EXCLUSIVES NOW! Jimmy Calabrese of Coffin Comics sat down with La Muerta series writer Mike MacLean for a quick interview about the upcoming new graphic novel La Muerta #1: Vengeance, premiering on Kickstarter on June 14, 2017. JIMMY CALABRESE: Hey, Mike! 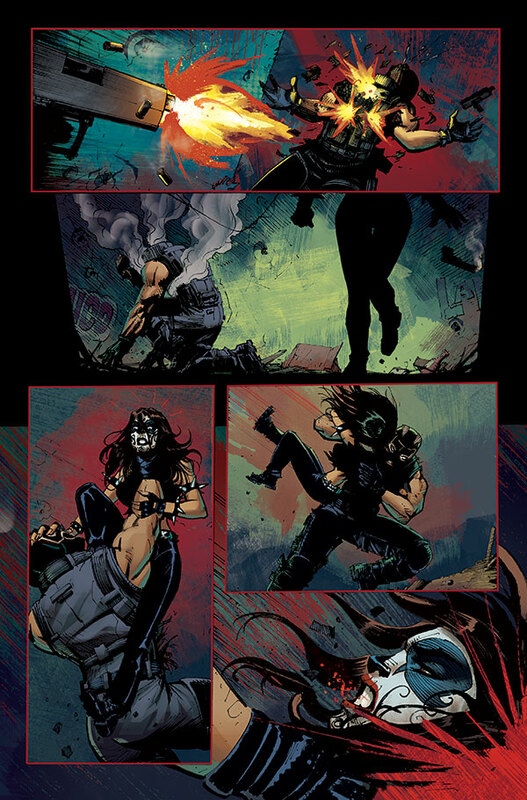 What can you tell us about the new La Muerta story, Vengeance? MIKE MACLEAN: The last we saw Maria Diaz, she had avenged her family’s brutal murders and she thought she could hang up her gun, until she finds out there’s something slaughtering immigrants (including the slaying of an innocent child). Because of this horror, Santa Muerte (the Saint of Death) visits Maria and insists she acts. 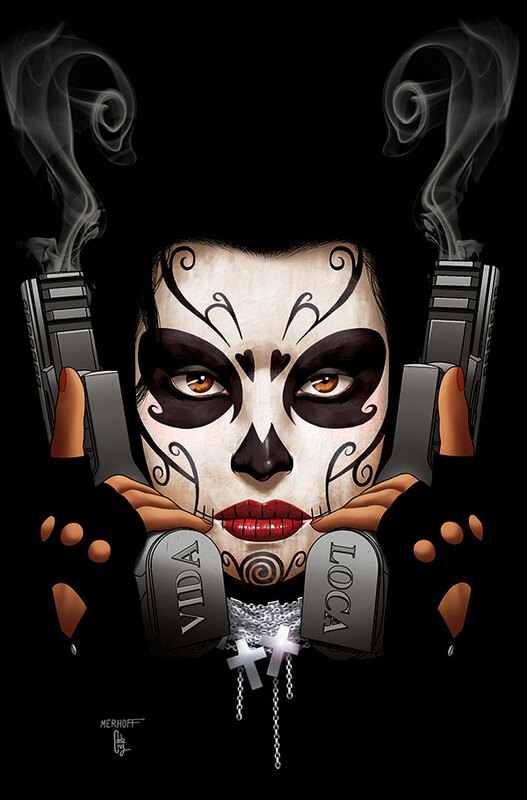 So Maria, once again, becomes the vigilante La Muerta and seeks justice for the murdered child while trying to solve the mystery of what in fact happened. In doing so, Maria confronts a very brutal vigilante named Loco and comes face to face with a supernatural creature! JC: Sounds exciting! Do you have any favorite characters? MM: It’s an easy pick, I like La Muerta! I really enjoy writing La Muerta/Maria Diaz. Yeah, Maria’s tough and will get the job done (she’s relentless in the pursuit of justice) but she still has a vulnerability to her. I kinda see her as a Punisher character, but before Punisher lost his humanity. Maria’s not just a mindless killing machine, she’s a good person. She’s a solider with a code of honor and she struggles with becoming a blood thirsty person. JC: I hear there will be new characters in the story, they sound pretty exciting. What can you tell us? MM: The newest character is Loco. 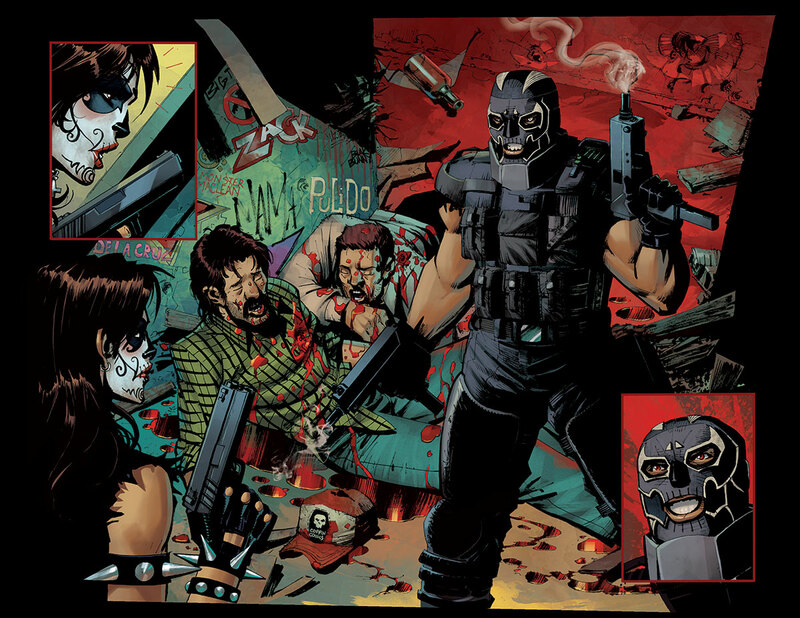 Loco is a vigilante not unlike La Muerta, except Loco is much more brutal and willing to kill! I see Loco as someone La Muerta could become if Maria doesn’t protect her own humanity. JC: Loco sounds great! Why else should fans be excited for La Muerta #1: Vengeance? MM: I had a great time writing it, I hope that comes through in the script! I have to say as much as I really, really enjoyed Joel Gomez’s artwork in the first chapters of La Muerta, the artwork in these chapters is just amazing! Joel’s outdone himself in these new chapters. He seems very well suited to the material. He gets it. His art balances so well with the script and the attitude. I think readers will really dig that. There’s also an introduction of a Mexican urban legion that I think readers will really enjoy! It brings a supernatural element to the new stories that we just touched on in the first story. JC: Vengeance sounds amazing all around! Any last words? MM: I feel completely fortunate that I get a chance to write these stories. It goes a great deal to Brian Pulido but even more so to the fans. The fans that supported the last chapters of La Muerta on Kickstarter, they are the reason that these chapters are being made. If the fans didn’t come out and support us there wouldn’t be any more stories. I’m very grateful to those who supported the last Kickstarter and allowed us to keep writing these stories! You can find out more about Mike at www.mikemaclean.net. 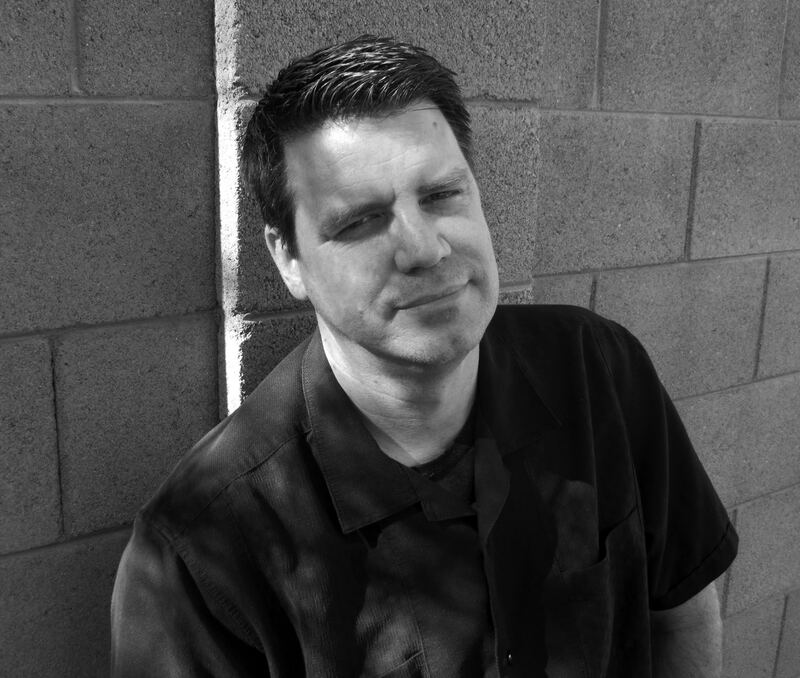 And make sure to meet Mike at the upcoming Phoenix Comicon (panels, signings and more!). JOIN US FOR MAD MONSTER PARTY ARIZONA THIS WEEKEND, IF YOU DARE! We’ll be at Mad Monster Party Arizona in Fountain Hills, AZ this weekend! Be sure not to miss this killer horror convention! Mad Monster exclusives have been available for preorder online since last Friday (along with Cheyenne’s exclusives). 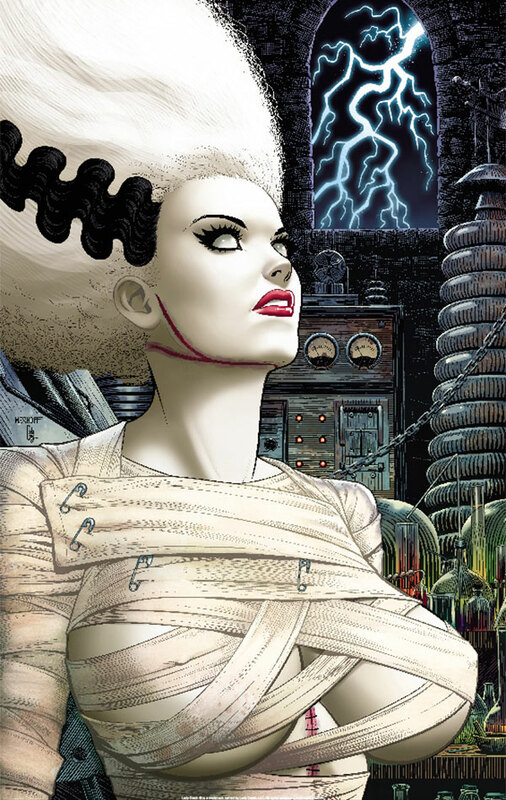 Please note that Lady Death #1 – The Bride Edition is currently SOLD OUT online. We will have a limited number of copies available at Mad Monster and any leftovers will be made available at Lady Death Store after the show. We expect ship exclusives ordered online starting Monday, May 22. PHOENIX COMICON IS COMING TO MELT YOUR FACE – LESS THAN TWO WEEKS AWAY!!! Raffles (grand prize includes a Temptation of Lady Death Sideshow Figure valued at $400)! All-new flash exclusive edition revealed featuring an amazing beloved artist! Saturday Night: FIEND SUMMIT at The Hyatt’s Networks Bar at 9:00PM(ish)! Mark your calendars for Memorial Day Weekend (May 25-28) and be there!!! 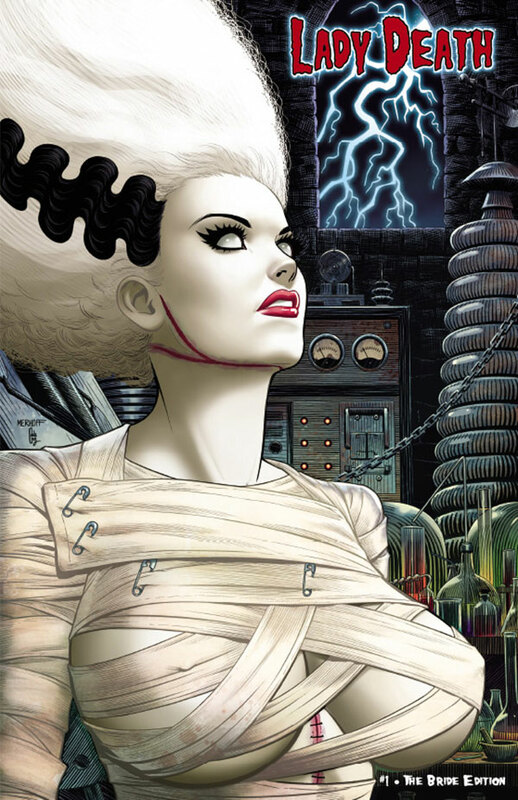 This entry was posted in Conventions, Interviews, Product News and tagged la muerta, lady death, loco, mad monster, mike maclean, naughty coffin, pcc, phoenix comicon, phxcc, the bride, vengeance. Bookmark the permalink. Both comments and trackbacks are currently closed.